Indulge in your love for biryani with eat.fit. Dig into our Lucknowi veg biryani that's the perfect balance of spices and flavours. 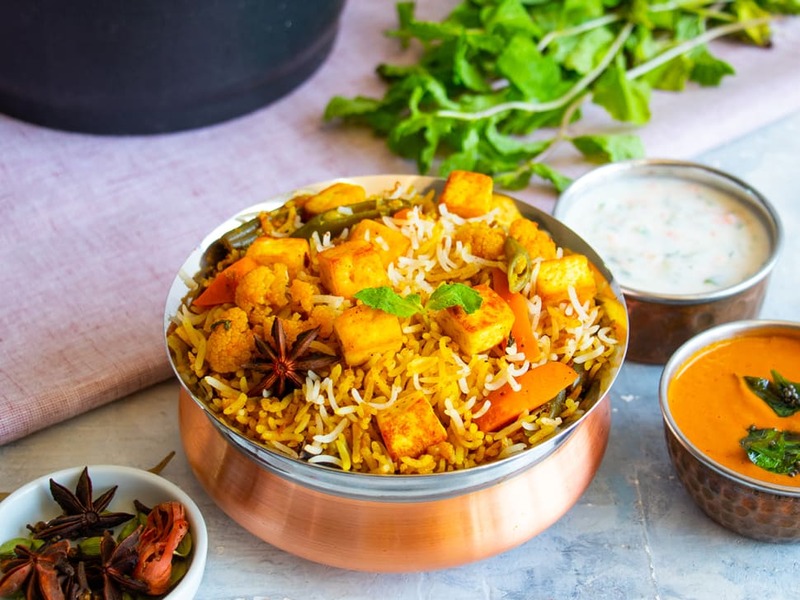 Made with a medley of vegetables like carrots, beans and cauliflower, the white rice biryani is finished off with some protein-packed paneer and caramelised onions. It's served with traditional sides like salan and raita. - Made with high-quality Basmati rice - No butter, no ghee recipe - Paneer rich in protein and good fats - Fibre-rich vegetables - Low-fat yogurt raita Served with the superfood of the day. Allergen information: Contains dairy and nuts. *Serves 1. Raita and salan not included in nutritional values.